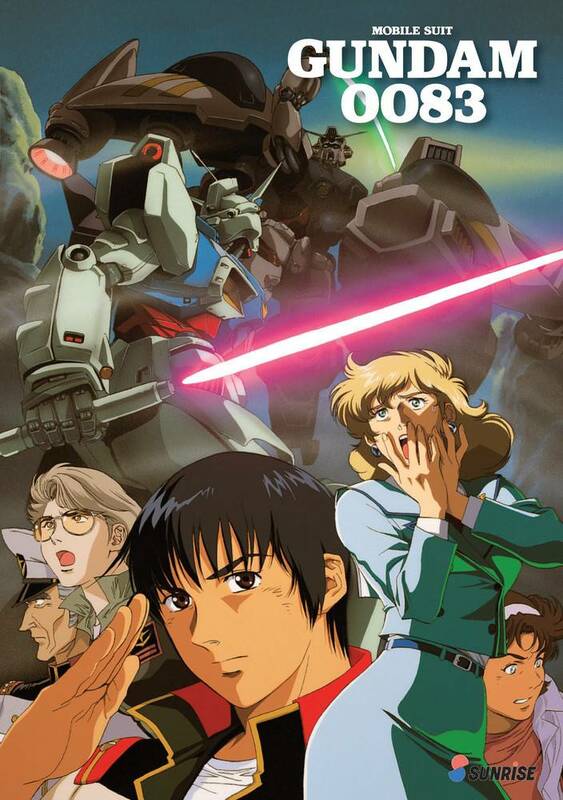 Mobile Suit Gundam 0083 contains episodes 1-13 of Stardust Memory plus the Afterglow of Zeon compilation film. Universal Century 0083. Having triumphed in the One-Year War, the Earth Federation has grown complacent, while the last remnants of Zeon forces have been planning one final stand. It all hinges on ace Zeon pilot Anavel Gato stealing one of the new prototype Gundams out from under the Federation's nose. With a nuclear-equipped Gundam missing and their pride wounded, the Federation ship Albion and rookie pilot Kou Uraki set out in pursuit of the Zeon thieves and the stolen Gundam GP02A. The animation shorts "the Mayfly of Space 1" and "The Mayfly of Space 2"